The troops of Assam Rifles (South) stationed at various places takes up relief and rescue operations in the flood affected areas in Manipur. The operations were initiated following incessant rains in Manipur over the last few days. Major breaches on the banks of Imphal river and subsequent request from state authority including Deputy Commissioner of Thoubal district on June 13 prompted the action from the Assam Rifles, according to a press release. 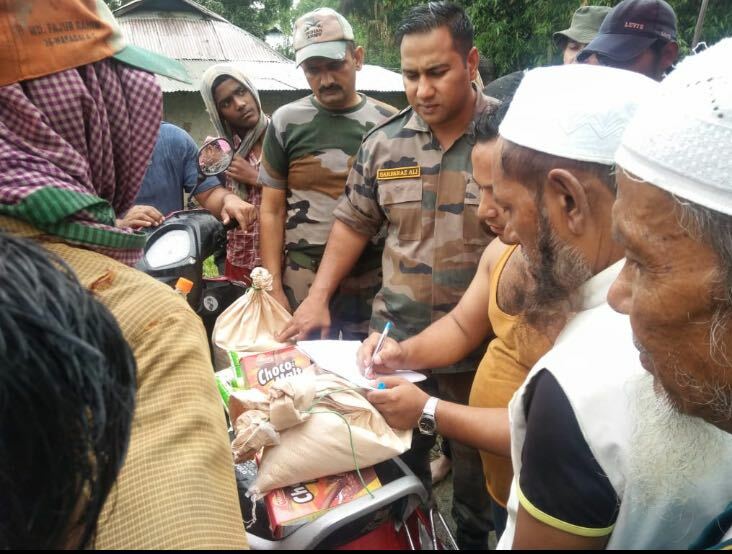 The flood relief column of Tulihal Battalion of 9 Sector Assam Rifles acted immediately on the requisition and saved precious lives and property in the areas of Irong, Maibam and Uchiwa Nashtau villagers near Mayang Imphal, the release stated. The columns provided relief in terms of repair of embankment, shelter, water and ration supply. The columns also acted and retrieved household items, evacuated villagers including children, elders and women. The relief work was also assisted by the engineer relief column of 52 Engineer Regiment. On the other hand, Phundrei Battalion Assam Rifles provided assistance in rescuing a truck which fell into a drain due to sliding of embankment near Thoubal Keithel while Mantripukhri Battalion Assam Rifles provided assistance to villagers of Achanbagai, Mongjam where the river embankment was washed off due to rain and water entered the village. The villagers were provided with relief material including first aid kit, tents and sand bags and also provided assistance in construction of temporary embankment, it added. Keithelmanbi Battalion Assam Rifles provided assistance and rescued people at Kiyamgei and Singjamei in Imphal East and Imphal West districts.